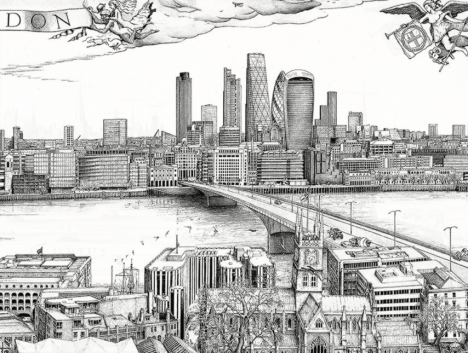 A city with a history dating back over 2,000 years, London has transformed dramatically over the last four centuries in particular, rising from the ashes of a 17th century fire that practically razed it to the ground. 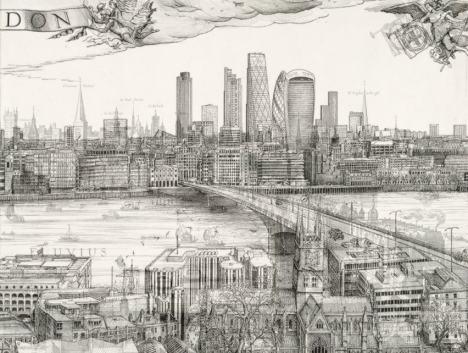 See just how its skyline has evolved in an interactive set of hand-drawn images by Robin Reynolds, building upon the classic engraving by artist Claes Jansz Visscher that was created fifty years before the Great Fire of London in 1666. The rebuilt city generally followed the street plan of the original one, with a shift from wooden buildings to more fire-resistant stone and brick construction. 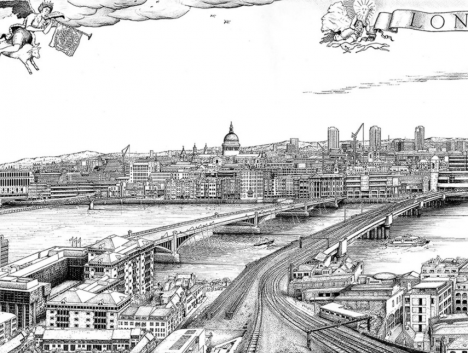 Growth shot through the roof in the 18th century and the city’s boundaries expanded outward at a rapid pace. 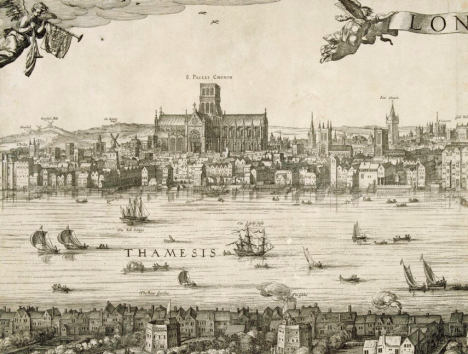 In Visscher’s original engraving, you can spot the severed heads on pikes in the foreground of the original London Bridge, which was once lined with shops and houses. 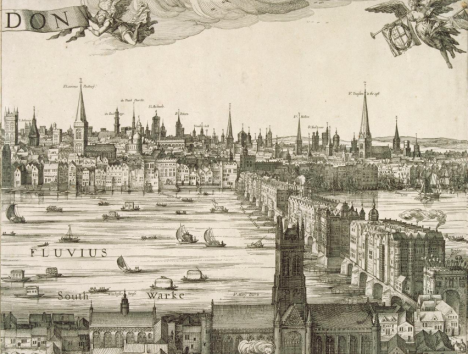 The London Bridge remained the only structure crossing the Thames until 1750, when it was joined by Westminster Bridge, and it has since been replaced twice. After 600 years of service, the medieval bridge was torn down, a 19th-century stone-arched bridge in its place. The current crossing is a box girder bridge of concrete and steel, opened to traffic in 1974. Watch the old 6-foot-long engraving morph into Reynold’s modern-day version at The Guardian, where it’s clipped into four sections to view each part in detail.